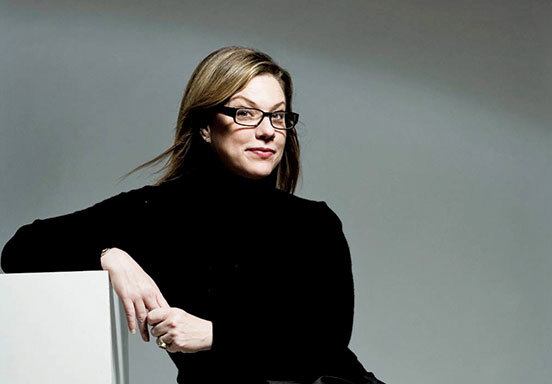 Debbie Millman has a simple philosophy: Design matters. Why? “Design reflects the condition of our culture,” observes the president of Sterling Brands’ design group. A year later, she joined New York-based Sterling Brands, which does brand strategy, innovation and brand design. Throughout two decades with the firm, Millman has worked with about 200 international brands, including Burger King, 7Up, Hershey’s, Gillette, Haagen Dazs, Colgate and Campbell’s Soup. She helped Sterling expand its staff from 15 to 150 while “shaping the overall vision and strategy of the design group.” In 2008, Millman and her partners sold the company to Omnicom. Millman, president emeritus of the American Institute of Graphic Arts (AIGA), is also a respected broadcaster, author and educator. Her podcast “Design Matters,” currently in its 10th season, airs on Design Observer (http://designobserver.com). The show won the Cooper Hewitt National Design Award in 2011. With “Law & Order: SVU” star and Joyful Heart Foundation founder Mariska Hargitay, Millman created the NO MORE campaign (www.nomore.org) to eradicate domestic violence and sexual abuse. In 2009, she and design expert Steven Heller co-founded the world’s first graduate program in branding at New York City’s School of Visual Arts. Millman’s six books include Brand Thinking and Other Noble Pursuits. “None of this would have happened without the education I received at the University,” maintains Millman. She also met her close friends – Susan Benjamin, B.A.’83; Susan Milligan, B.A.’84; Robert Edelstein, B.A.’82; Joe Trelin, B.A.’83; and Sloan – at UAlbany.